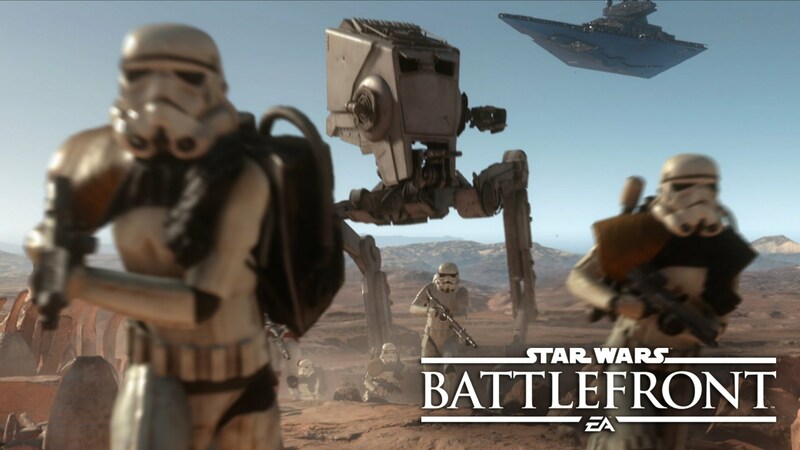 Star Wars Battlefront is finally here after having a somewhat controversial beta. It might not be the best received game in history, with sides either loving it or vehemently hating it, but it’s Star Wars and fans will likely enjoy it despite the somewhat lack of variety inside. And while the Frostbite 3 engine is a very mature engine, and the underlying code is sound, there might be problems and other issues that you might encounter while playing it. Below is a list of all the most common problems, and how to fix those issues. Make sure to give your game plenty of time to install. If you continue having problems, install your game and choose not to play the installation Darth Vader minigame when asked to do so, or close the minigame if you’re already playing. Even though you can play after a certain amount is downloaded, let it finish completely. If you’re unable to join any servers on the Xbox One, close your game and check for a game update. Once updated, you should be able to join servers normally. The underlying problem has been taken care of by EA and DICE. If you get stuck while matchmaking, or encounter an infinite loading screen when connecting to a server, exit your game fully and try joining a game again. While there are many reasons you might see this error when trying to play your game, it could be due to playing on an underage, or child, account. Make sure you’re playing on an account registered to a user of-age and try again. A driver issue causes dual graphics card setups with AMD Crossfire to suffer performance drops. AMD is working hard on a driver update for this issue. In the meantime, disable one graphics card to avoid performance problems. ​​AMD players can change their Crossfire settings through the Catalyst Control Center. Right-click your Desktop and select Catalyst Control Center. Make sure you’re running the very latest NVIDIA driver, version 359.00 as of November 19th 2015.